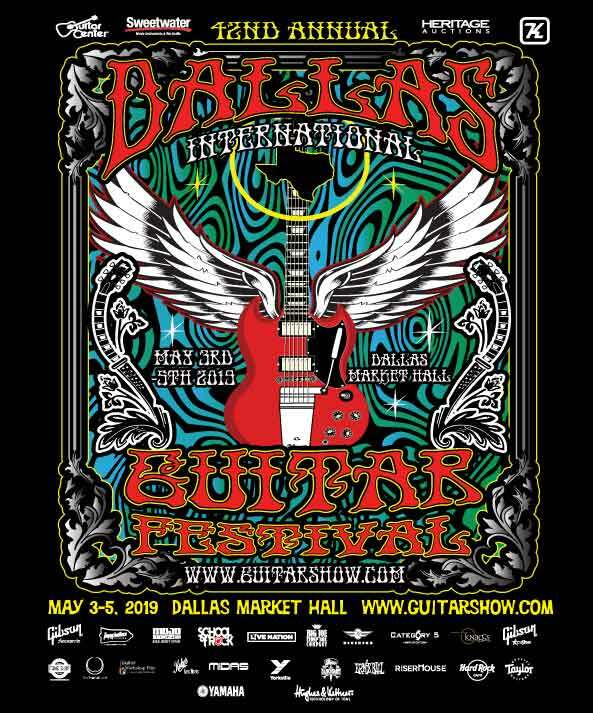 The 42nd Annual Dallas International Guitar Festival (DIGF) will be May 3-6 at Dallas Market Hall, 2200 Stemmons Freeway. The venue has ample free parking for show attendees. DIGF hours are 12 noon to 7 p.m. Friday; 10 a.m. to 7 p.m. Saturday; and 10 a.m. to 6 p.m. Sunday. Continuous music on four stages plays throughout the festival. Dallas International Guitar Festival is the largest and oldest guitar show in the world, blending musicians, fans, collectors and celebrities together into one huge musical extravaganza. Visitors can buy, sell, trade, or just browse among the thousands upon thousands of new and vintage guitars, basses, amps, banjos, mandolins, straps and strings, effects pedals, keyboards, music memorabilia and more. Listen to the best local and regional bands at the festival’s multiple stages. Enjoy performances by more than 60 local, regional and national artists performing on the festival’s four music stages. This year’s lineup features a lineup of all female guitarists all day Friday on the Sweetwater Stage, kicking off the festival’s musical entertainment. 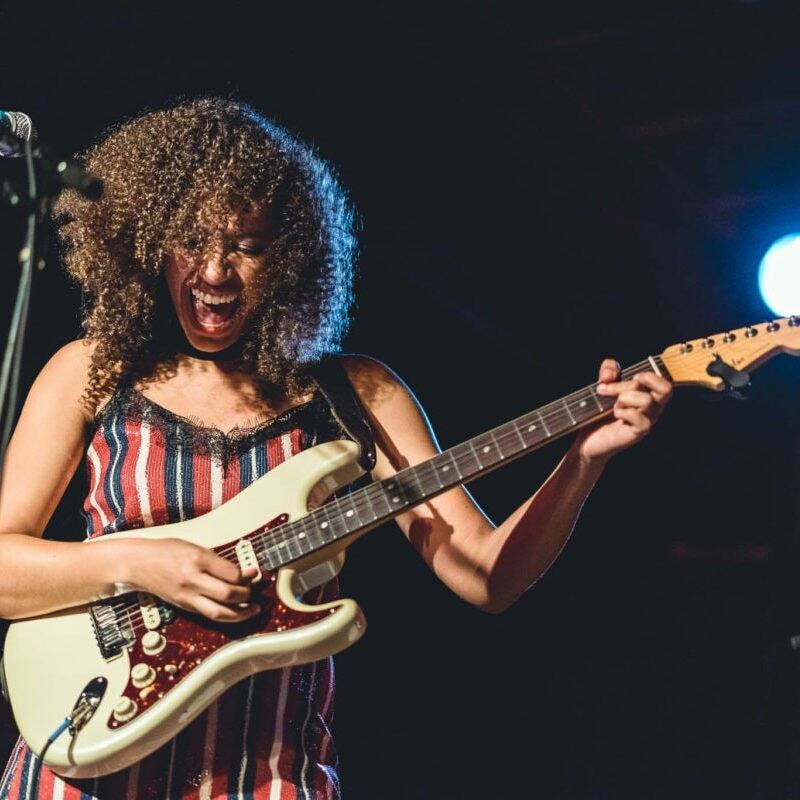 Such powerful women guitar players as Jackie Venson (just named ‘Best Guitar Player’ at Austin Music Awards, only the third woman to win this award in 37 years); Arielle; Joanna Connor; Ally Venable; and Kara Grainger, will perform. Past and present headliners include George Lynch, Eric Gales, Sonny Landreth, Ian Moore, Derek St. Holmes, Rick Vito, Andy Timmons, Chris Duarte, Gary Hoey, Mark Lettieri, Jimmy Wallace and Stratoblasters, Paul Reed Smith, Buddy Whittington, Jim Suhler, Alan Haynes, Wes Jeans, Maylee Thomas, Quinten Hope, and Ted Nugent. The Young Guns Stage will host musical performances all day Friday, Saturday and Sunday. Bands with members under 20 years old will be featured. Performers include Christone “Kingfish” Ingram, Ally Venable , Salvation From Sundown, Jake Kershaw, Anthony Cullins, Hayden Fogel, Griffin Tucker & The Real Rock Revolution, Ben Goldsmith, Jack Barksdale, Dylan Koski, Asher Belsky, Stanley Brothers Texas Overdrive, School of Rock All Stars, and the Texas 10 Under 20 Competition. The 10 under 20 contest will begin at 10 a.m. Sunday morning. Catch the best in new young talent at the Texas 10 under 20 contest finals. Ten finalists under the age of twenty will be chosen from competing bands and solo artists across all genres of music to perform in Sunday’s live showcase May 6. The festival features more than 800 booths and exhibits, where you can rub elbows with guitar legends and up-and-coming artists and get tips from the very best musicians at instructional clinics throughout the show. More than 20,000 people are expected to attend this year’s festival at Dallas Market Hall, with over $3 million of instruments and memorabilia trading hands. General admission tickets are priced as follows: One day is $30 for adults and children 11 or older; free for children under 10. Two-day passes are $50, and three day passes are available for $65 each. VIP passes, which allow ticket holders to sit in the front few rows of all concerts, also include Friday and/or Saturday night performances. VIP passes are $45 for one day; $80 two day; three days $100. Student tickets are $15 for one day, $25 for two day-passes, and $40 for 3-day pass. Admission to the Friday night concert is $10, or free with VIP two-day or three-day pass. The Saturday night All Star Jam, to be held at Market Hall starting at 8:30 p.m., is also $10, or free with a two or three-day VIP pass. All tickets are available at the door. Advance tickets to the Dallas International Guitar Festival are also available online, along with updated schedule of events and performers, at guitarshow.com. Major sponsors for DIGF 2019 include Sweetwater Sound, the largest on-line music retailer; Hard Rock Cafe Dallas; Heritage Auctions; and Keeley Electronics, School of Rock. Media sponsors are LiveNation, 92.5KZPS, The Ticket Radio, ESPN, 97.1 The Eagle, and the Dallas Observer.